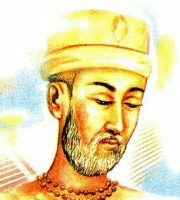 Kabir was a mystic poet and saint of India, whose writings have greatly influenced the Bhakti movement. The name Kabir comes from Arabic al-Kabir which means "The Great" – the 37th name of God in Islam. Kabir composed in a pithy and earthy style, replete with surprise and inventive imagery. His poems resonate with praise for the true guru who reveals the divine through direct experience, and denounce more usual ways of attempting god-union such as chanting, austerities, etc. Kabir, being illiterate, expressed his poems orally in vernacular Hindi, borrowing from various dialects including Avadhi, Braj, and Bhojpuri. Songs of Kabir is a collection of his poems, collected by Kshitimohan Sen from mendicants across India, that has been translated to English by Rabindranath Tagore. Extracted from these last books are listed here some of his great poems ever.